If you're looking for a professional contractor that can help you with your basement or crawl space, you're in the right place! Since 1991, Superior Basement Systems has been helping homeowners solve all their wet or leaky basement problems, and we're ready to help you! 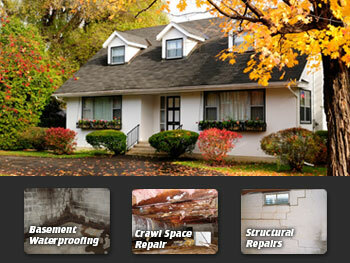 Our professional staff will take you through all the steps to waterproofing, including your free inspection & estimate. Superior Basement Systems is your local authorized member of the Basement Systems international basement waterproofing network. 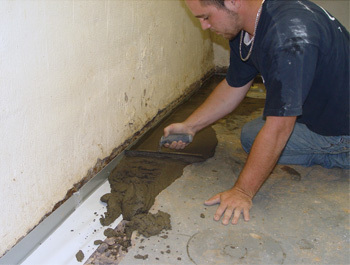 As an authorized Basement Systems, Inc. Dealer, we have exclusive access in our area to over 30 patented waterproofing products -- products that have won more than 30 quality and innovation awards in the industry! Basement Systems, Inc. has more than 125 waterproofers, spanning all across Canada, the United Kingdom, and the United States, and their products and practices have been proven in thousands of homes worldwide. We serve Alliance, Ashland, Cadiz, Canton, Dover, East Liverpool, Hartville, Massillon, Millersburg, New Philadelphia, Salineville, Wooster, Yorkville, and all the surrounding areas.